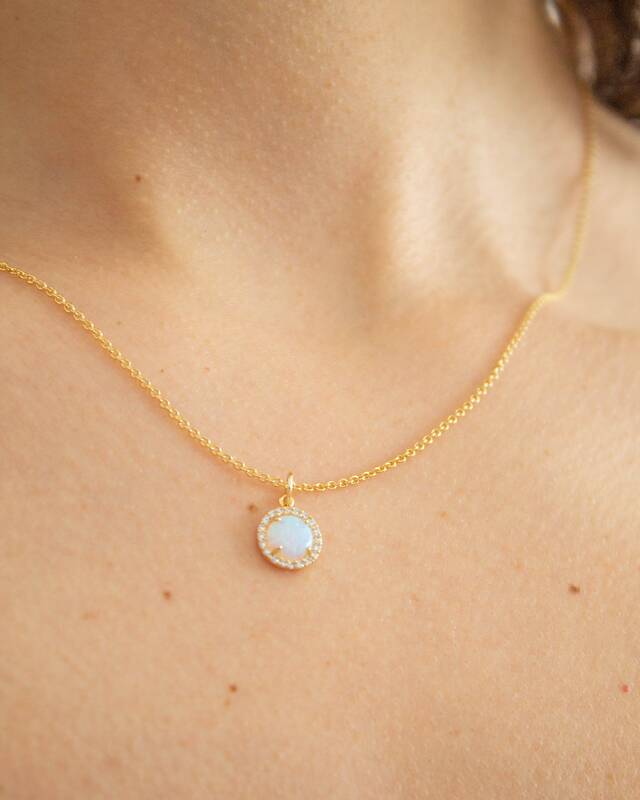 This is a pre order of the very popular Australis necklace, it will ship on the 16th of April. 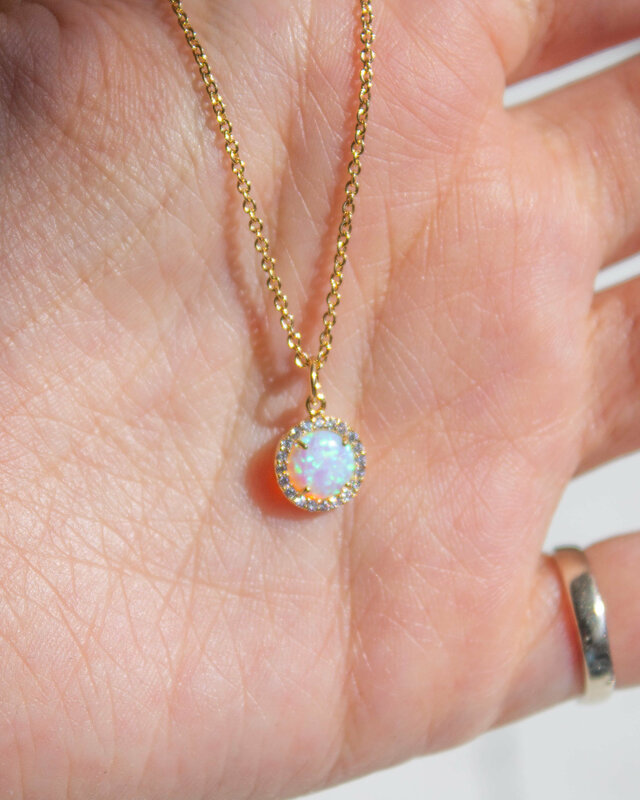 A circular cut opal surrounded with shimmering CZ diamonds. 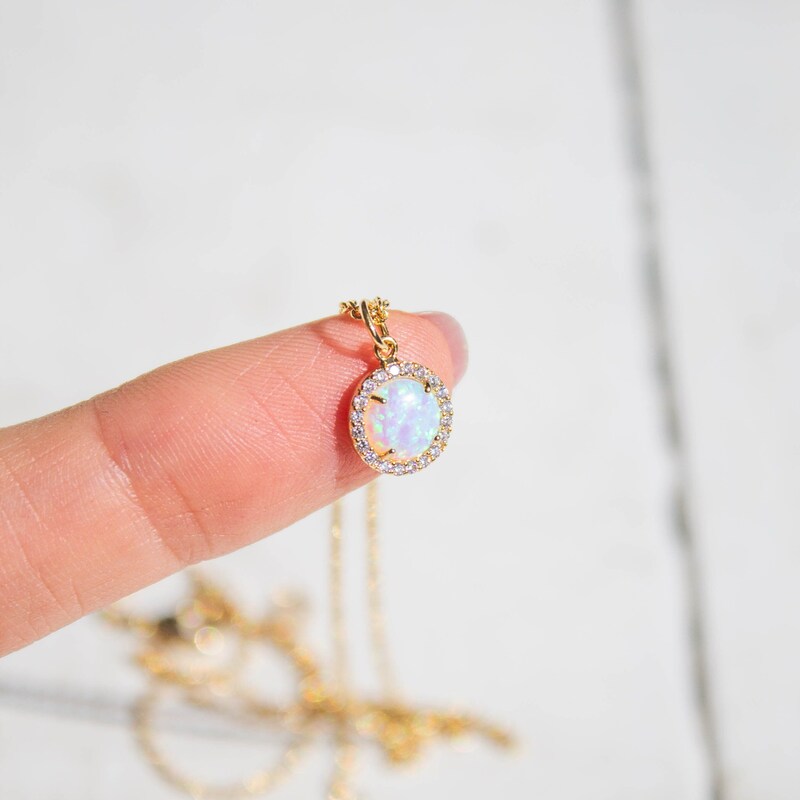 The bling to end all blings! 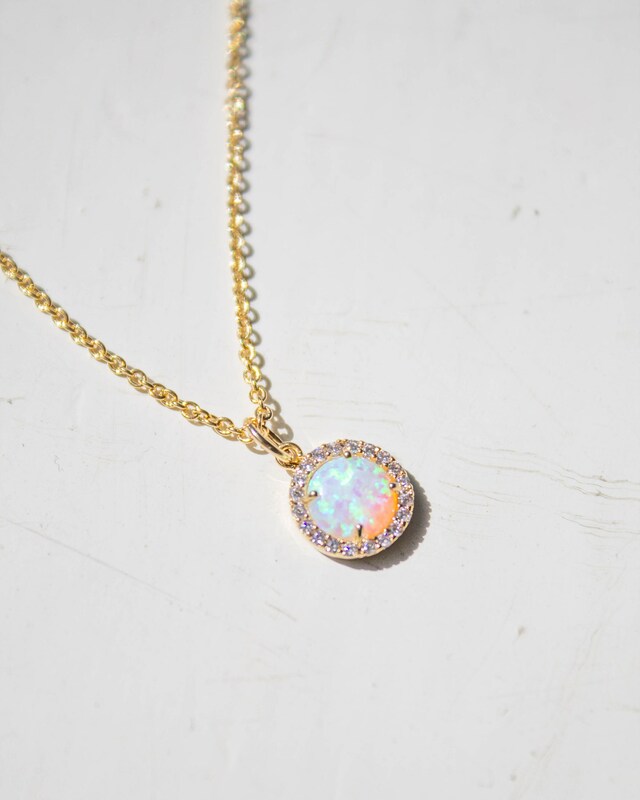 The stone's colours vary from light pink and lilac to peach and light blue. 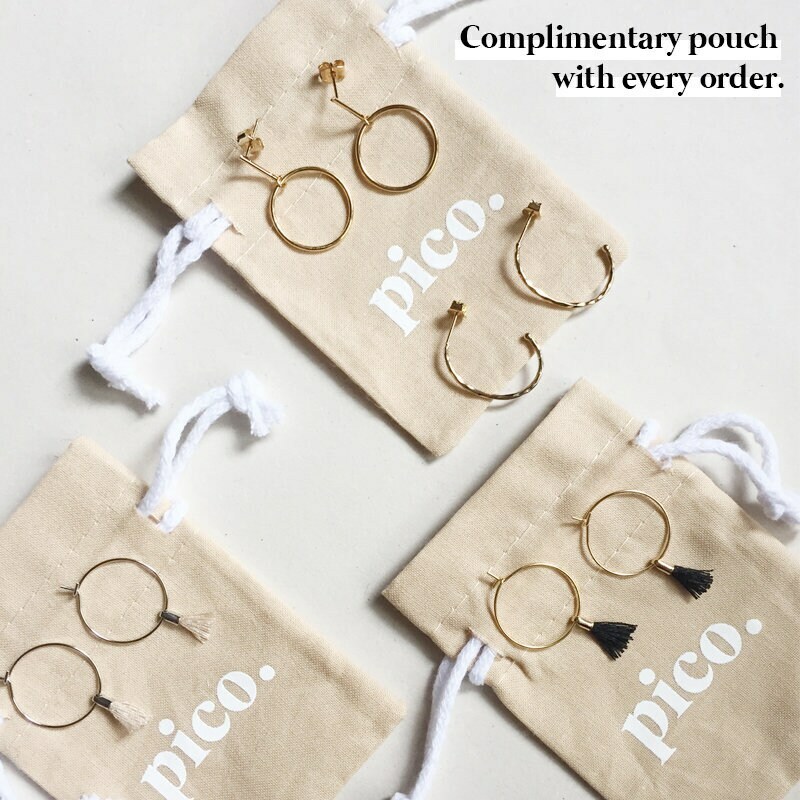 If you are looking for a special little thing to wear everyday, look no further! 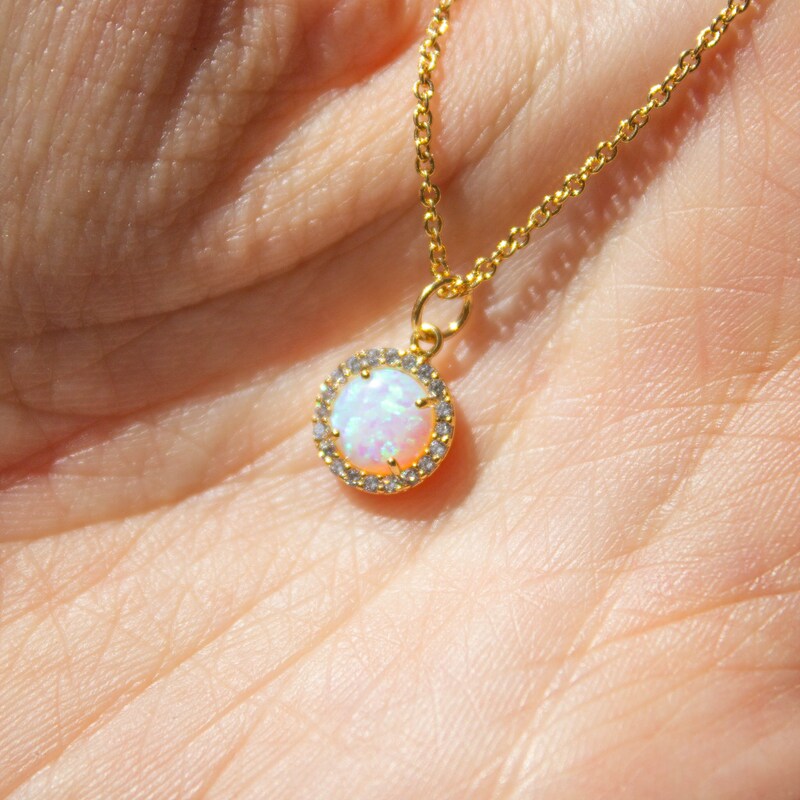 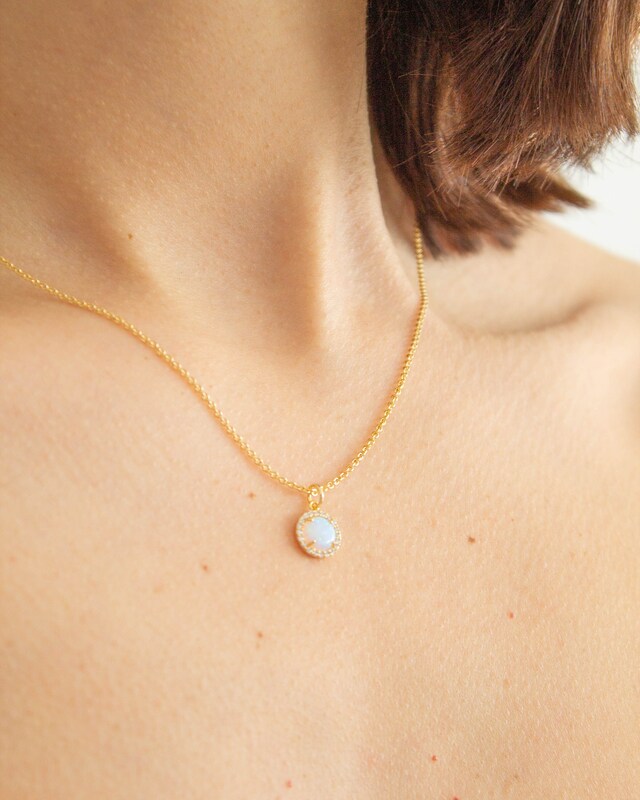 It takes its name from the biggest opal ever found, called Olympic Australis. 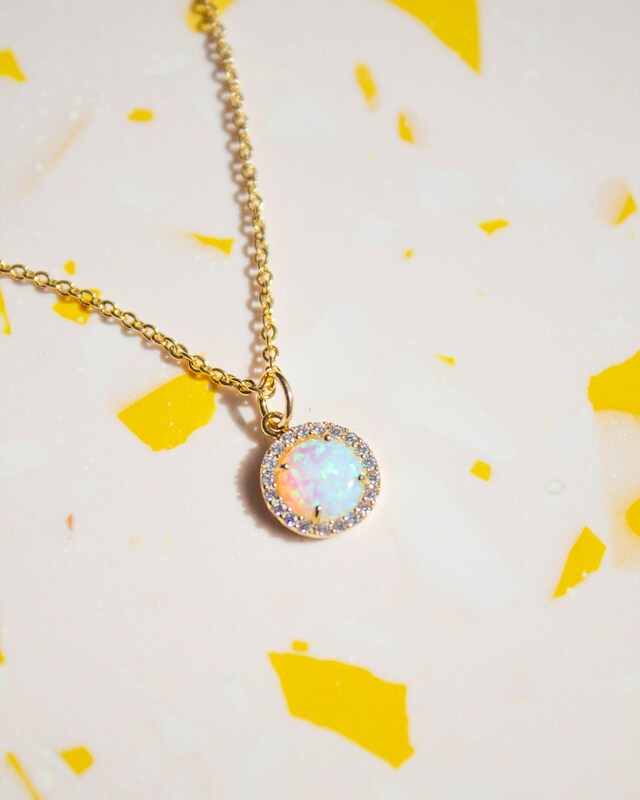 Australia has been the biggest source of opals and it's an ode to the beautiful continent. 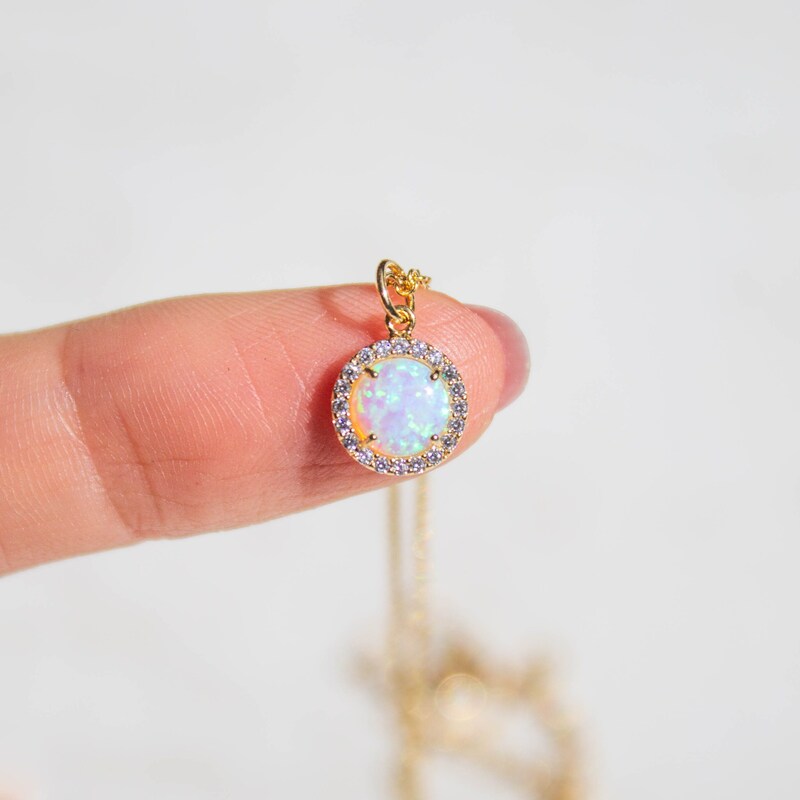 The charm is set with a twenty clear CZ diamonds and a large opal stone in the middle.